This Young Adult/Adult crossover anthology draws from not only the core of Islamic spirituality and ethics, the Qur'an, and the traditions (hadiths), but also from the mystical verse, folk tales, and exemplary figures of the Islamic narrative. 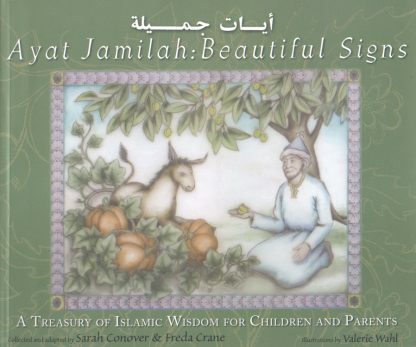 Unlike any other collection of Islamic stories, Ayat Jamilah: Beautiful Signs gathers traditional stories from the farthest reaches of the Muslim world, which stretches from Morocco in the west to Indonesia in the east, and from China in the north to Tanzania in the south. This unique anthology, with its rich and thorough explanatory notes, will be invaluable to anyone wishing to understand, or to teach, geography, world history, or world religions. It will also be treasured by Muslim families and by all parents committed to broadening the lives and values of their children and themselves.